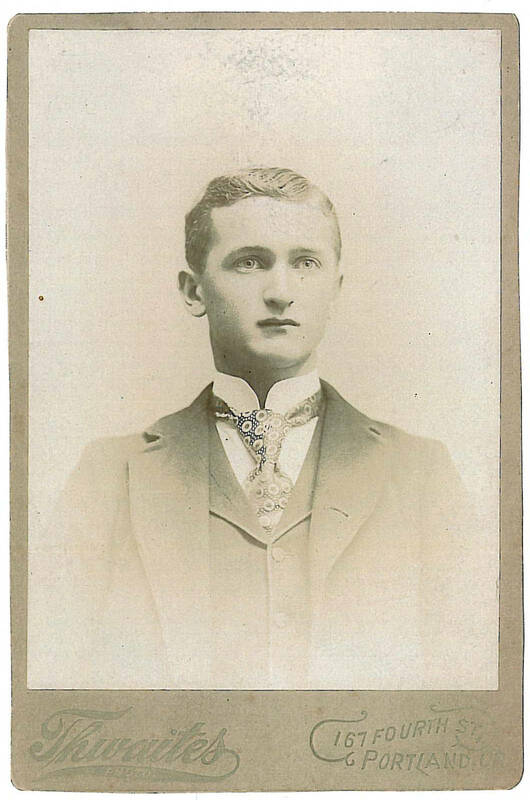 A studio photograph of Harry Frewing of Tigardville as a young man. Mr. Frewing is dressed in a white, high stand collar shirt, a patterned tie, and matching vest and jacket. His hair is neatly cut and parted at the side. Harry Frewing, son of George and Mary (Sumpton) Frewing, had a farm on Bull Mountain and married Marie Jones of Roseburg, Oregon.